After smashing sell-out shows in FRINGE WORLD 2018 – Laser Kiwi is back for 2019! This hit show combines high-calibre circus with unforgettable physical/sketch comedy to produce a wonderfully bizarre and thoroughly entertaining show that will be performed in ​The Big Top ​at Woodside Pleasure Garden from Thursday, February 7 to Sunday, February 17. Imogen Stone and the brothers Zane and Degge Jarvie have been working together for the past five years. They bring a show full of innovation and ideas including but not limited to, lighting matches with toes, Japanese Game Shows and Vape rockets. One thing’s for sure, you will see something you didn’t expect to see… ever! 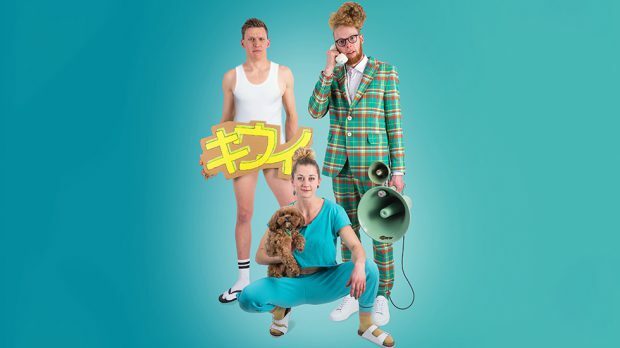 Laser Kiwi has performed in the New Zealand International Comedy Festival 2017, Edmonton Fringe 2017, FRINGE WORLD 2018, Adelaide Fringe 2018 and they can’t wait to perform for Perth audiences again. Get more info and tickets here. 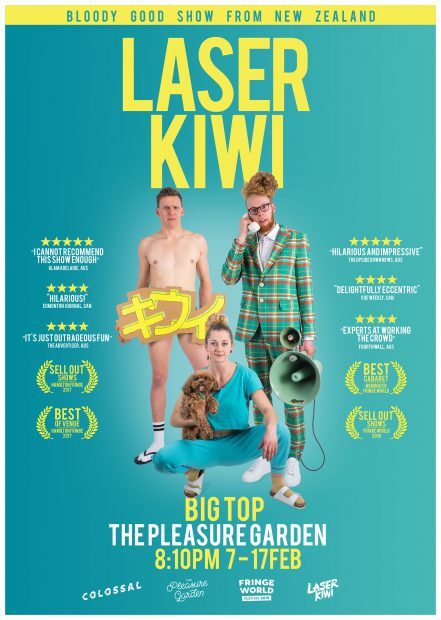 We are happy to have two double passes to Laser Kiwi this Saturday, February 9 at the Big Top at Woodside Pleasure Garden in Russell Square at 8:10pm. To enter simply email us here at win@xpressmag.com.au with LASER KIWI in the subject line and tag the mate you want to take in the Facebook post. Don’t forget to like the X-Press Facebook page and sign up to the newsletter to be in the running! Competition closes Saturday, February 9 at 1pm. Please only enter if you can attend. You must be a Perth, WA resident and able to attend the Big Top on Saturday, February 9 at 8:10pm.